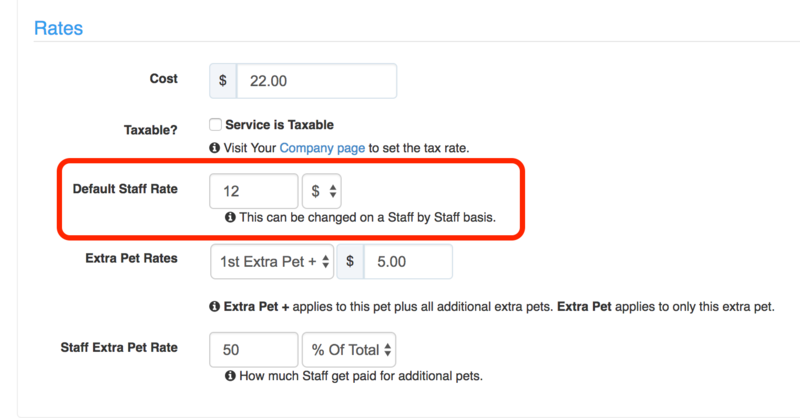 Time To Pet does not offer payroll processing, but you can generate pay stub reports to make it easy for you to calculate the correct compensation you owe your staff. You are able to generate a report that reflects the services that a user has completed during a specified date range. The compensation is determined by the Service details (though this can be adjusted on a staff by staff basis). 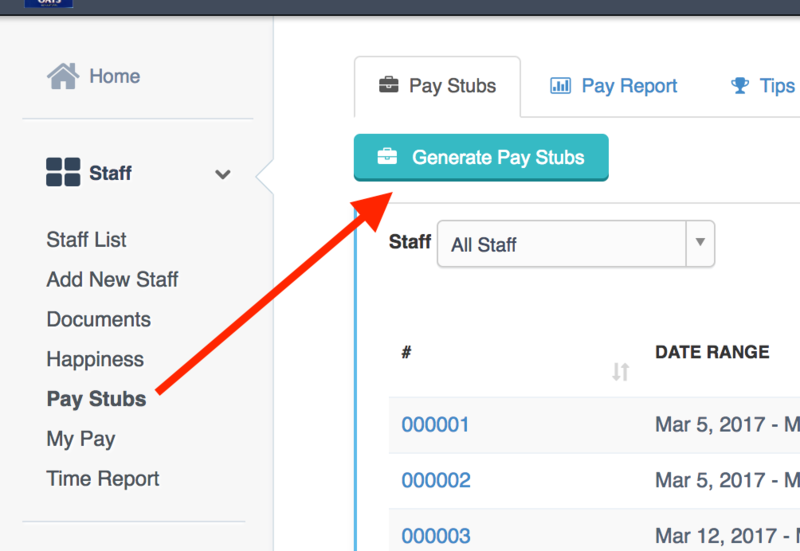 To generate a pay stub for all your staff, go to Staff Pay Stubs and select the "Generate Pay Stubs" button. You will then be able to select the date range for which you want to report to include. You can also choose if you want to have compensation for cancelled or incomplete services. You will be able to review each pay stub for each staff, select which staff you want a pay stub generate for, and make any changes before generating the pay stubs. 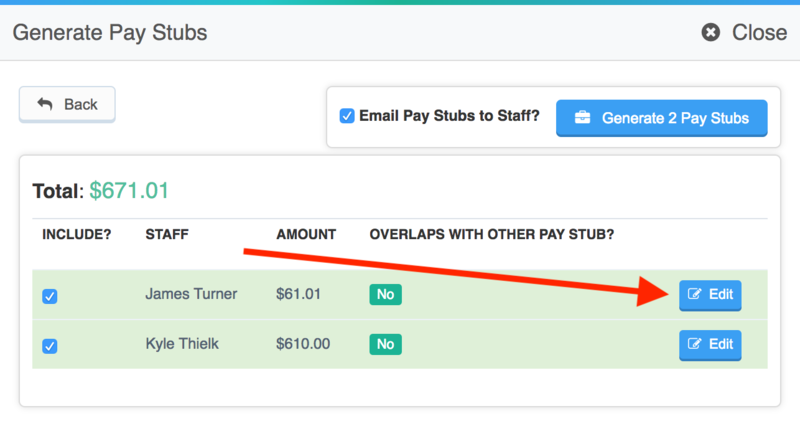 In cases where you want to change the default compensation rate for a specific service, or want to adjust the cancellation compensation for staff, you can "Edit" the pay stub before generating. This will show all the services that the staff is being compensated for and changes can be made and saved. You can save the changes. Changes are now persisted forever (or until the pay stub has been generated) allowing you to build out pay stubs far into the future. Once generated, you will be able to share with staff and have the record of the report in the pay stubs page. To delete a pay stub, you will have to go to the staff's account and select the "Pay Stubs" tab. This will show all the generated pay stubs for the staff and the option to delete the pay stub. It is not possible to have a generated pay stub duplicated. Staff can only be paid once per service. If you generate a pay stub for the same date range of an existing pay stub, the report will only show services that haven't been included in the initially generated pay stub.